Around 50 beaches including long and sandy stretches and small hidden coves, among some of the most beautiful of the island. 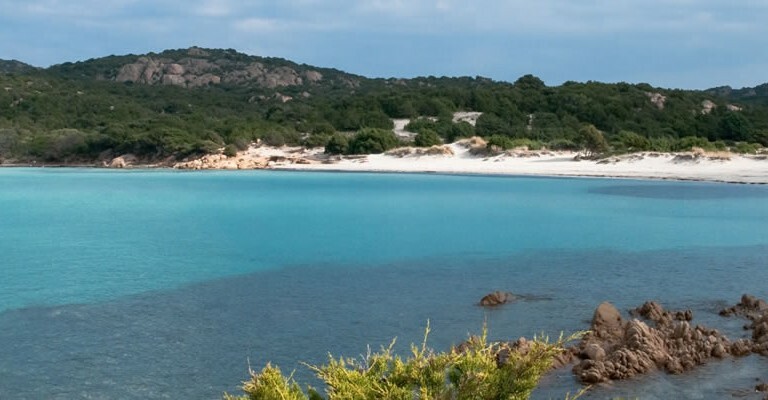 Natural beauty and the irresistible charm of the Costa Smeralda, Gallura’s granite and around 50 beaches, long sandy stretches or small hidden coves; the whole area of Arzachena stands out for its areas of great naturalistic interest. It is here that you will find some of the most beautiful beaches in Sardinia: the beaches of Cannigione and La Sciumara, particularly suited to water sports and La Pitrizza behind which there are the ponds of Saloni, rich in typical flora and fauna of the area. Costa Smeralda begin: La Pitrizza, Liscia di Vacca and Cala Granu which encompass the small peninsular of Capo Ferro where the only lighthouse in the Arzachena territory stands. The cove of Porto Cervo is host to the two harbours considered the safest and most well-sheltered in the Mediterranean! Continuing south, you’ll find the renowned white sandy beaches with crystal clear water in the heart of the Costa Smeralda. Among some of the most well-known beaches are the beaches of Capriccioli, Poltu li Coggji, Liscia Ruja and La Celvia.